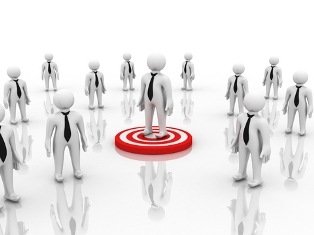 Who’s your blog’s target audience? How well do you know their needs, what they like to read and what makes them click a link? How do you get them to notice you and your blog? Getting your site noticed by your specific target audience takes a bit of study and understanding, but I make it easy for you with these blogging tips. Where is most of your traffic coming from? Check out all sources of traffic and make sure that more visitors see your post updates at the sources. For those targetting multiple markets, you should also use a VPN to change server locations to see the regional SERPs for yourself for further optimization. If it’s Twitter, tweet about your posts and get others to tweet for you. Make sure you haunt the same places, and place your post updates so they’re noticed. If you want your target audience’s attention, you have about 3 seconds in which to get it. Your title should pique their curiosity and literally make them want to click the link to visit your blog. Make your links short and easy; avoid a verbose intro just before the link. Include a nice picture of you in your email signature, and some graphic element so people’s eyes go to it. Make a list of the top blogs haunted by your target audience. Read their posts and upload thoughtful, insightful, intelligent and useful comments. Be sure to paste a link to your blog. Read posts by other bloggers and write a post that’s relevant to their point. Explore a different perspective of the same topic or go off on a tangent. Post links to such posts on other blogs, on discussion forums and other places. Be it on Twitter, Facebook, LinkedIn, Google+, YouTube or any other sharing site, you must have your profile out there, with a brief message about who you are, what you do, why you blog and so on. Your chances of getting noticed are much higher if you’re to be found everywhere. If you find a contest that has the potential to attract a large audience in your target area, sponsor it using cash, services or products. Make sure people notice you; interact, contribute and network to get more mileage out of it. Get hold of other bloggers to sponsor a contest that you create. Use social media and every other free PR and marketing trick to publicize the contest and gain visibility across different networks. People don’t buy anything these days without looking up product reviews. Review products that are relevant to your niche and publish them on your blog, on other product blog sites and so on. While you’re at it, if you have products or services, get them reviewed as well. You can either pay reviewers, or provide your offerings for free in exchange. Your blog’s visibility is only as good as your search engine rankings. This is where reviewing popular products helps to get you noticed on search engines. Publish interviews of other bloggers, niche movers and shakers as video, audio podcasts articles or even interesting infographics. You’ll get noticed and tap indirectly into the audiences of your interviewees. Discussions give birth to many ideas. Look up blogging communities where your target audience participates, join in, contribute and network to boost your visibility. A newsletter is a great way to let your target audience know that you’ve got something worth reading about. Get the attention of movers and shakers in your niche by helping them with their issues, re-tweeting their tweets and so on. They will return the favor by making you visible to their audiences. You may not get a strong backlink with this method but you can get your target audience notice you and increase your readership. Offer lifestyle tips, consultations, photography tips, organizing Tweet-ups, tips on how to produce great videos on your blog. Your visibility will grow along with your audience’s confidence in your abilities and offerings. Tip #1 is golden. We should know to leverage and multiply on those sources that are already giving us traffic, rather than hunting for new ways to find traffic and diversifying our efforts. Thanks for the nice tips Erik! “20% of the top sites will contribute to 80% of the traffic we receive”. A little effort on Google Analytics may give useful information. Thanks for sharing you knowledge here today, Jane. Erik: How do you decide what is your target audience? You see, it’s really up to you, deciding what is your target audience. – what kind of products are you selling? – what kind of content are you writing? – do you have any particular online business? Depending on your answers, you can deduce your target audience. It takes some tweaks and twists on a blog to improve its performance. This apply to the exposures and traffic generation. The tips shared here are some of the extras that can be tested to see any improvement. The good news is that most of these can enhance exposure if applied very well. Quality engagements and social media exposures still work fine! I have left this comment in kingged.com – the content syndication and social marketing platform for Internet marketers, where this post was shared. thanks for sharing your views on the article. Hello Eric, What some Awesome tips I love all 10 of them # 16. Vibe With Top Players Really is something that not everybody talks about yet it really is an effective way to gain attention to your blog. glad to see you here for the first time! That’s right, connecting with influential people in your niche is one way to get noticed. And improve your audience too. I think 1 and 2 are the most important in finding your target audience. Finding them is half the battle. Once you find them then you have to get your blog posts in front of them but you have to do that in a smart way. Thanks for sharing this with us! I found this blog post on Kiinged.com and Kiinged it! 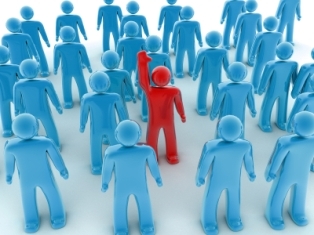 deciding your target audience is important as much as what you are writing in your site. Tip #1 is definitely where it starts for me. I have found that blogging communities have been the source of most of my traffic lately. As I participate and provide relevant comments I am receiving more and more visitors and comments to my blog as well. I will definitely utilize some of your other awesome tips here as well. Thank you for sharing. I am glad blogging communities are helping you to build your audience and traffic. “Build it and they will come.” this is what bloggers sought after. You study everything you can get your hands on, you do your best to write quality content, and promote and etc. Furthermore, it would be traumatic, more doubt inducing, or more enthusiasm crushing than running a blog that you know is good, however, no one knows about. To be frank, to find out the function of your blog and stick with it isn’t just the trick. This post shares 18 valuable stuffs useful to get your blog noticed by the right audience. Erik thanks for sharing. It is very helpful, not just for me, but also to others who have a dilemma with the said topic. These blogging tips shared in the article above are all valuable and helpful to make your site noticed by your target audience. Tips #8 and #9 – I guess your audience would be more interested if you’ll make a contest. Just think and research for a contest that will surely engage your audience and make them interact and contribute as well. Tips #10 and #11 – Both ways are good ideas to increase your online visibility. People online is always talking for reviews, whether books or certain products with regards to the different aspects of life. So, the chances are good for your site to be noticed by the public. Awesome Erk! Jazzing up those titles makes a difference. More’ll find your posts, after publishing, which optimizes your presence online. Keep tweaking those titles to find winners and keep using them. Thanks dude! A catchy title is going to decide if you will get a visitor or not. Then your content will keep the reader on your blog. It is great to read a post that summed up all ways and means to promote your blog and get it noticed by the wider level of audience. We need to keep promoting our blog with maximum possible methods. But we can bring desired results if the stuff we are promoting really serves the needs of our audience. It may be solution of their problems, guiding new ways to improve their life more or an invitation to follow a trend or style to make their life more comfortable. Actually we need to sell benefits on our blog with our contents, reviews, ads and placements. It we make our readers believe we want their benefit that is why we are blogging then no matter they believe us and buy what we offer to them. Thanks a lot of sharing such a wonderful list that really make others notice our blog. they will find benefits visiting your site often. This helps you building your reputation and trust online. Thanks for your visit and comment here! Your post is great and helpful but i think it takes some time and hard work to improve any blog performance and we must have some great ideas to write unique and fresh content then we will be able to make one successful blog and get loyal readers. Looking up for targeting audience and traffic source are also great points, keep it up. glad you liked the tips mentioned in this article. All good points, Erik. The one thing I’d add, which is quite obvious, is that your blog should always add value and be relevant to your niche. The “content is king” will be always valid. I think the biggest problem for bloggers is that they ARE NOT starting a newsletter. I can’t stress how important it is to have a newsletter. Also, most of them think that it is just start a blog and that’s it. Reality is, it is much tougher. It takes time and passion. On top of that, tons of hard work! Great write and thanks for sharing mate. Running a blog itself, is not as hard as running a great blog with interesting newsletter. As you said, Reginald, it takes a loooot of hard work. Well said here. These tips actually work. But here I want to say something, you have got to work really hard to actually do the stuff(mentioned in the post). At the end of day you get results, but many quit just before reaching that stage. This is the reason why just 98% of the bloggers become professionals. I think persistance is the key in every business. Thanks for reading and commenting, Shan! Hello Erik! I have to agree with you about being persistent. It’s one of the most challenging things for new bloggers and seasoned bloggers. glad to know you agree with my point. I think that persistence is the 90% factor of someone success. I so appreciate your ideas and experience. Some of this I already do naturally as a part of good common sense. I chose to figure how to define my audience by understanding what specific problems I “really” solve and then learned my unique voice and process for how to go about solving them. Once I knew that, it was easy to create the profiles and determine who they were and where they may be hanging out at. I’m experiencing the power of relationships with individuals who serve the same audience I serve but in a different way. When that happens, we can introduce one another to our audiences as trust is built between prospective partners. In my opinion that is one of the best ways to build and grow your readership. Of course there is a lot more to it than that, you have to have a defined strategy and goals, but it’s the big picture. Thanks as always for sharing your insights with us. I learn something new every time I read your articles! sometimes we forget the basics! it seems like “understanding your audience” and “writing really useful content” are the two most important tips to follow. Thanks for taking the time to read and comment here, Don. What some Awesome tips I love all of them. i appreciated your ideas and tips here. I assure you, Newbie bloggers get more information when they read this article. This is my first time on your new blog. I was a fan of your FreeMakeMoneyAdvice.com and I was wondering what happened. Anyway, I am happy to be here today. I have always liked your approach towards blogging and internet marketing. Your post is very direct and straight to point the title bears. One of the things I take time to do before hitting the publish button is the headline. A post headline is the magnetic force that will drag every single reader or visitor to take action. In most cases, I have seen myself come back to change my post title after writing the overall article, because I always want it to stand out. Another thing I don’t fail to do is blog commenting. This is one practice I carry out every day of my blogging career. I always make sure I visit my target blogs and leave a comment to their latest posts. This single practice is really bringing me new readers and visitors everyday. The commentluv plugin even makes it more so sweet to do blog commenting. It’s also another professional way of showing off what you recently put in stock on your blog. Thanks for sharing this wonderful piece Erik. I had to take down FreeMakeMoneyAdvice blog. It was a tough decision, but I had to. which is going pretty good. And I created some other niche sites, like this one. it’s indeed very important and can attract readers attention. Glad you enjoyed the post, Eston. Sponsoring a contest is really important! Hello Erik! I have been a fan of your content for over two years. This is a value packed post with easy to implement suggestions to reach our target audience. I look forward reading more of your content in the future. That’s really encouraging, thanks for the kind words. I am so glad you found this post useful, I look forward to see you again soon! What some Great tips I cherish every one of them. i admired your thoughts and tips here. I guarantee you, Beginner bloggers get more data when they read this article. Thanks for the kind feedback, Rahul. Back linking is essential to receive more traffic on your blogs. Also internal linking is also important because the reader will read more and more articles after visiting your blogging site. Great Knowledgeable post for blogging beginners. Lot of topic you covers in such a golden article. This is very helpful for to get success in blogging. Thanks for sharing. These are good tips. I have a quesetion: when establishing your social media and YouTube presence, is it necessary to promote yourself as much as the company you represent? I’ve heard that it’s common to promote yourself but I’m not sure its beneficial to do that. it really depends if you want to focus on yourself or your company. And if you represent that company. Thanks for the tips which still seem relevant now. Breaking into the small business and startup blogging isn’t easy but we are getting there slowly. The traffic is very important for any blog/website. Being new bloggers, they need to understand the optimization methods to give a quality to readers and as well as search spiders. If you want a blog traffic, then make sure you will not become impatient. This article is well written, and the piece of quality for the newcomers. Never indulge in any black hat activities to gain short term benefits. I was just checking your older posts if I mist any post and landed here. I guess its very fresh to read these awesome tips. This was a very informative post! But today with millions of Blog Posts every day it’s almost impossible to give your Blog the attention it deserves. An excellent way to tackle this problem is through Quizzes.